A new study of 59 people found that driving while daydreaming is not dangerous in the same way that typical distracted driving behaviors are, reports George Dvorsky for Gizmodo. The study, conducted by teams of scientists from the University of Houston (UH) and the Texas A&M Transportation Institute, was published in Scientific Reports. There was a two-minute break between drives. The study was one of the most comprehensive of such studies ever done. Researchers analyzed the drivers’ mental states during the entire time at the driving simulator. Unlike in previous studies, the researchers examined direct and indirect ways that experiences affected the drivers’ sympathetic nervous system responses, via thermal imaging and other types of biofeedback. The researchers found that all three “non-normal” driving experiences resulted in jittery behavior, or an impaired ability to handle the wheel. 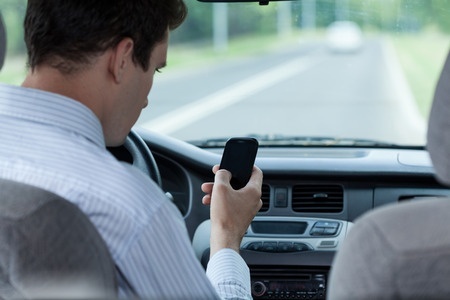 But during these three driving segments, the participants exhibited risky distracted-driving behaviors — such as veering out of lane and unsafe driving — only when they were texting. Surprisingly, driving when participants were asked questions about math problems or emotionally charged issues was similar to normal driving. The researchers speculate that what seems like a paradox could be explained by the brain’s anterior cingulate cortex (ACC) compensating for the math and emotional question distractions. Even though the driver might jitter to the left, the ACC counterbalances with a similar jitter to the right, resulting in what the study found to be incredibly straight, in-lane driving. What makes texting so dangerous is that it wreaks havoc into this sixth sense. Self-driving cars may bypass this and other problems, but the moral of the story is that humans have their own auto systems that work wonders, until they break. The researchers plan to follow up this study with one in which they analyze driving outside the lab, on roads. They hope to eventually create a gadget they are calling a “stressalyzer,” that will monitor a driver’s unique biosignatures, and alert the driver when he or she engages in dangerous distracted behavior, the kind that can cause car accidents. [T]he fact that only 32,000 people die annually is more of a testiment to safety engineering of the vehicle and the road more than anything else.